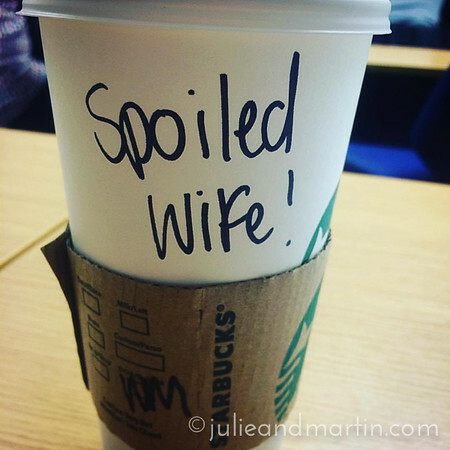 Just as my German class started this evening, a sharp-dressed man burst into the room to deliver a hot cup of coffee just for me. It was Martin on his way to his own writing class down the hall. I had to laugh when I turned the cup and saw the name on my beverage. Soooo true.